It can be a busy week at the Fitzy house. So this chicken salad is perfect. Quick and easy! You can store it in the fridge for several days and it’s great for weekly lunches. 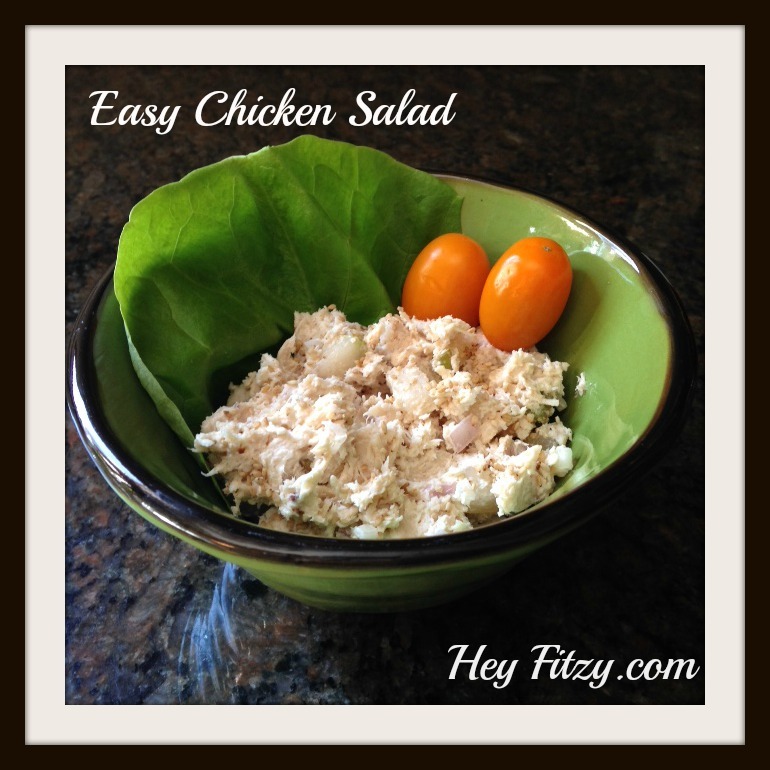 Everyone takes their lunch for work and school so Sunday is a great day to whip up a batch of this chicken salad. Everyone likes to doctor it up a little different. I like mine plain with a few seeds or spouts. Fitzy likes his on a bed of lettuce with a few tomatoes. The kids like to put theirs on bread for a great sandwich. Place the chicken in a large pot of water. Bring to boil. Boil the chicken for approximately 30 minutes. Check for doneness. Rinse the chicken to remove the residue that accumulates while boiling in the water. Cut up the chicken. I prefer the chicken finely chopped versus larger bite size pieces. This tends to be a personal preference. 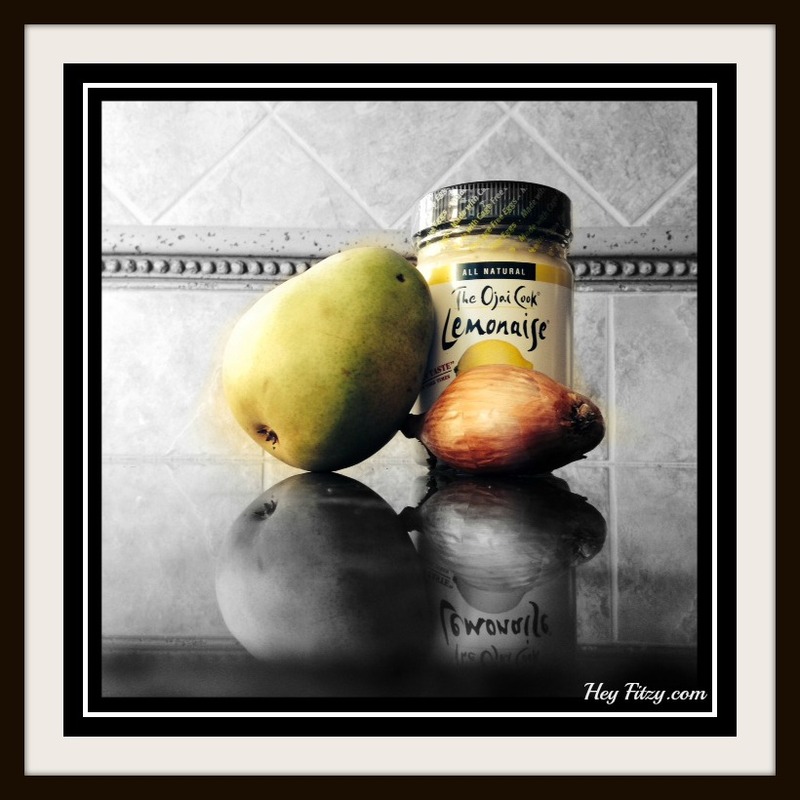 Slice the pear into small pieces. Slice the shallot into small pieces. Mix all four ingredients in a large bowl. 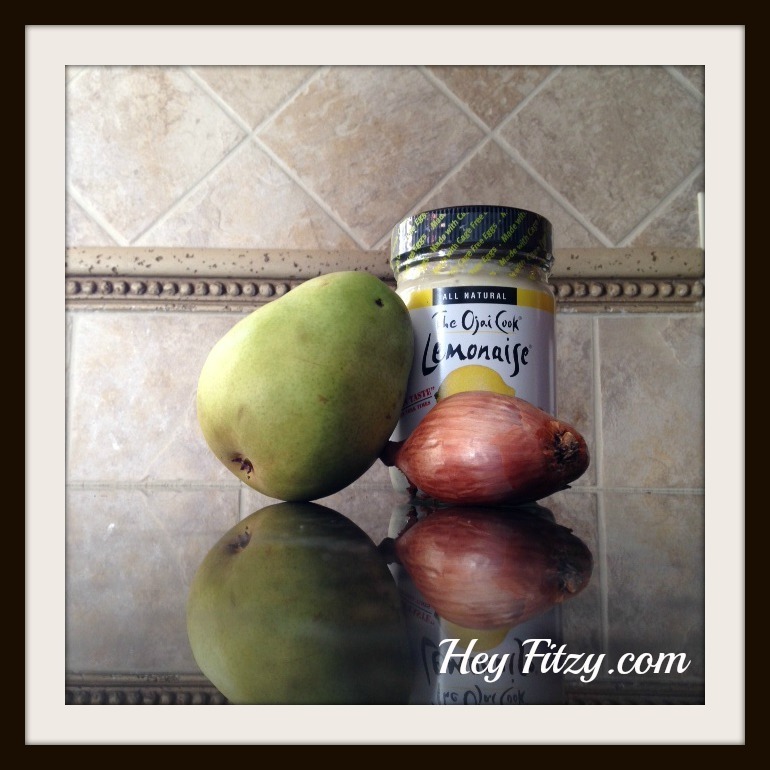 Lemonaise is a great substitute for mayonnaise. It is certified gluten free and made from cage free eggs. I am fortunate our local grocery store carries it. And just because I am having fun with a new app on my phone called AVIARY, I thought I would post this picture as well. You can do some really cool stuff to your photos.